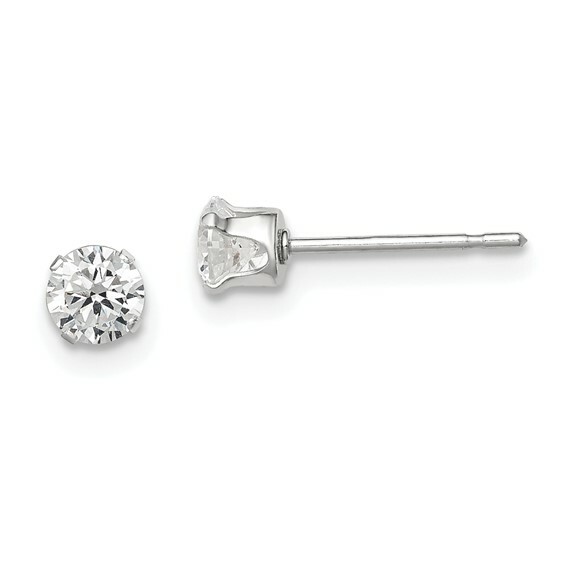 Sterling silver cubic zirconia stud earrings. Weight: 0.43 grams. Each round cubic zirconia is 4.0mm in diameter.